Sure, that all sounds good. But how do we do it? Well, to begin with, we realize that the most important person in the office is you – our patient. 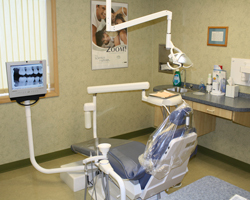 We will show you, using our state-of-the-art technology, what is going on in your mouth. We will consult with you to formulate the best treatment plan. We will work around your busy schedule with our extended office hours. We never forget that we are here for you!